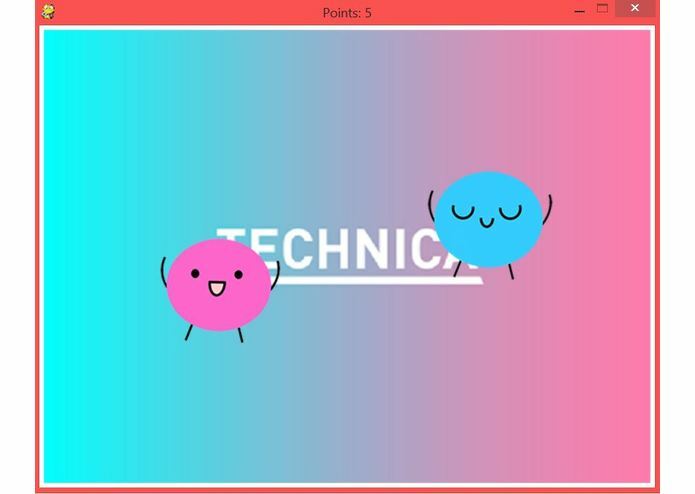 We wanted to explore the basics of pygame with Python and add a fun, cute theme to it. The user uses the w,a,s, and d key to move the blue mascot to bump the pink mascot. Each hit on the pink mascot earns the user a point. We found some code online, and modified it to match Technica themes. The hardest challenge was learning a new language. It was difficult to see why errors came up. Our original idea was more complicated than anticipated (and with the added challenge of staying awake) was not possible to complete unfortunately. We got something running and figured out why some modifications didn't work on some lines of code. We learned basic Python and pygame syntax, and how to use IDEs to our advantage. We hope to finish our original idea of a Technica Hexapong Game.